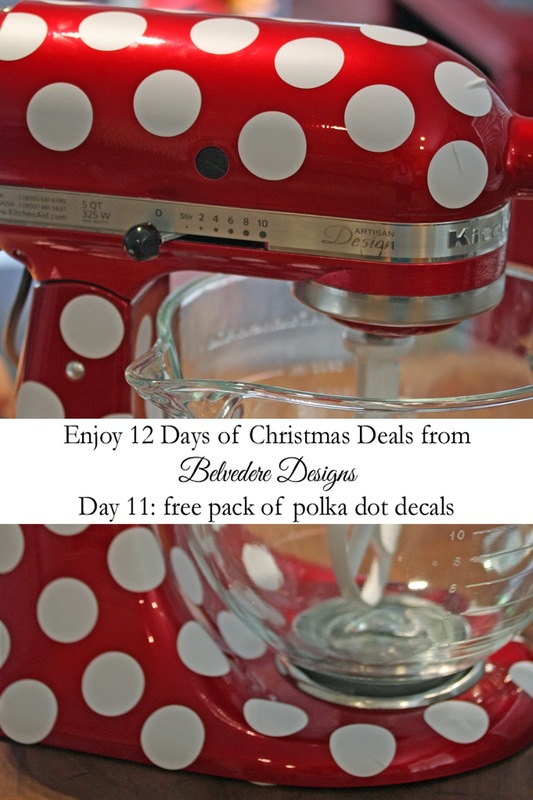 ...nope, we're not giving away a stand mixer, but we ARE giving away a set of Polka Dot Decals! See how Raelene used them to gussy up her plain jane stand mixer? There are so, so many things you can do with these...from using them as part of a gallery wall, to decorating picture frames, ornaments, appliances...the list goes on and on! Just ask for the "Day 11 Polka Dot decals" in the comments of your order, so we'll know to include one with your order! Be sure to come back tomorrow to see our last promotion!